Responding to input from members we will increase the number of competitions from 2 to 4 during the year. It is our plan that 2 of the competitions will involve live judging and 2 will be judged on-line. We are also introducing assigned topics for the competitions while still including the option of “Photographer’s Choice”. For each competition members will be able to submit a total of 4 images, not more than 3 of which are in either the assigned topic or “Photographer’s Choice” category. Evaluation events, or “evaluation nights” provide an opportunity for members to present their images to other members of the club and receive constructive feedback about their images’ merits and shortcomings. Each member can submit 2 digital images per event. The amount of time available for the meeting is divided by the number of images submitted so that each image receives the same amount of discussion / comment time. Images are viewed one at a time. The maker may begin by introducing his/her image and saying whatever is important to him/her. All members are then invited to comment on what they like about the image or what could be improved. Questions can be asked. E.g., “Could you have cropped more loosely in post?”, “Do you have shots from a different angle?”. Evaluations will be limited to discussions only; there will be no opportunity for on-the-fly image editing. A moderator runs the show. He/she selects speakers from the floor and keeps track of the discussion time. At the end of the time slot the moderator asks for a vote to rate the image; just a show of hands. Is this image worthy of a “gold” rating? If 50 of the members vote as gold, this is recorded. If less than 50% vote gold, the moderator asks for a vote on a “silver” rating. If less than 50% vote for silver, the image remains unrated. A recorder notes the name of the image, the maker, and how it rated. The advantage of this system is that each image is judged on its own merit, regardless of subject matter. It is not a competition. All golds are considered equal. At any one evaluation night, any number of images may be awarded gold or silver. The maker can receive lots of encouragement and ideas for improvement. Images may be returned to a subsequent evaluation if desired, so that an image once judged as silver, for example, might become a gold after edits by the maker. No external judges are needed as all present are expected to judge by show of hands. Members can shoot the kind of images that they prefer. The process is supportive yet has a competitive aspect (see below). The evaluations will be beneficial to beginner and advanced photographers alike. New photographers get feedback about their own progress as they begin to earn silver or gold; more seasoned shooters may see things in their images that they may have missed. Members are not expected to apply regular competition criteria when they rate an image (though they can if they wish). The ratings are likely to be more intuitive. Members should ask themselves the following questions about any particular image. Is this an image I would hang on my wall? Do I experience an emotional reaction to the image? Does it make me happy, sad, peaceful, or angry? Does the image convey a story or a message to me? Is this an image that I will remember? With a few edits, could this image rate as gold? Images can be submitted in advance by e-mail (evaluations@pacn.ca), or at the event. JPEG format is preferred. Raw formats should be avoided as they may not display properly, or at all. If possible, the images should be resized for display before submission. You may download guidelines for resizing images using the 2 links below. Images presented during an evaluation event are eligible for PACN competitions. 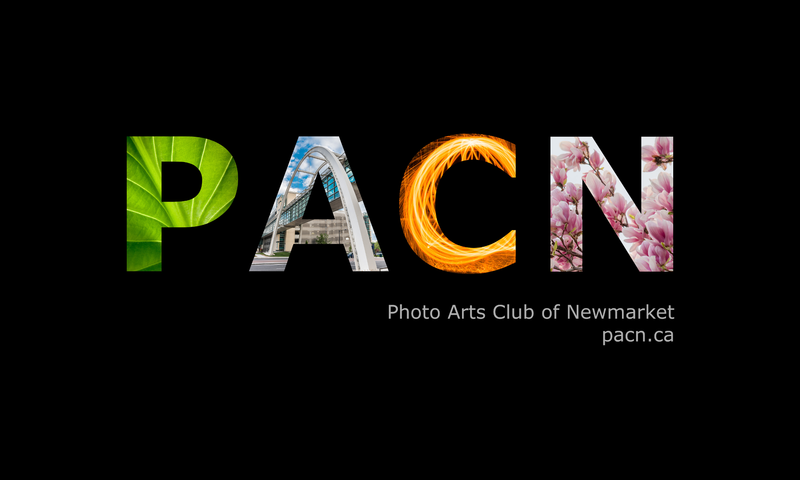 Note that any given image can only be entered once in a PACN competition. The Competitions Committee will evaulate all gold rated images and select those that will become part of a “club” entry to outside competitions such as those held by CAPA. The maker can, of course, elect not to participate. Members will earn one POTY point for each new image submitted. Silver images will earn an additional point, and gold images will earn two additional points. Images submitted for subsequent evaluations will receive no points. The maker must be present at the evaluation or no points will be awarded. Each competition will have two categories. One of them will always be “Photographer’s Choice”. Entrants may submit up to four images per competition. Each category must contain no more than three images. Images are to be submitted as JPEG files (e.g., *.jpg or *.jpeg). The colour space should be SRGB for best colour representation. Images must be no larger than 1080×1920, the OCCC competition standard. Specifically, each image must have a maximum vertical size of 1080 pixels, and a maximum horizontal size of 1920 pixels. There are no skill categories (e.g., novice, intermediate, advance) for this season. Skill categories may be reintroduced when there are consistently more than 25 makers entered per competition. Images must have been taken since January 1, 2013. This age limit applies regardless of the category. Each image must be the work of the entrant. Images submitted in one club competition may not be submitted in subsequent club competitions from year to year. Please avoid submission of near identical images. Images that directly, or indirectly, identify the maker will be disqualified. There will be four competitions in 2018-2019: two live and two online. • “Time”: Capture the moment or go with the flow. Images should depict some aspect of the passage of time. • “Natural Things”: Natural Things covers all natural subject matter, but without the very restrictive rules of the “Nature” category. Digital manipulation is allowed as long as the end result appears natural looking. “Hand of man” is also allowed as long as it’s not the primary aspect of the image. • “Curves”: Curves are a fundamental building block of photography. Images should contain strong curved lines or surfaces. • “Action”: Combine motion with excitement and you get action! Images should depict motion and have a clear story. There is no submission form, but the entrant’s name must be clear from the e-mail address, or it must be contained in the subject line or message body. The first image displayed to the judges will be “Flower”. The second will be “Dog eating homework” and the third will have no title. The maker will not be contacted by the organizers if the file names cannot be interpreted. The order and title of the images will be left to the discretion of the organizers. Files are to be e-mailed to competitions@pacn.ca by midnight the Friday before the competition. Images for live competitions will be displayed to the judges on a colour-calibrated 1200×1920 monitor. The audience will view a projected display that may or may not be properly calibrated. Images will be displayed to the judges at 1:1 magnification on a black background. For online competitions, the judges will view images on their personal colour-calibrated monitors as per OCCC guidelines. There will be three judges. Ideally, judges will be non-PACN members certified by the OCCC. Qualified judges from the PACN will substitute if OCCC judges cannot be arranged. Scoring is based on the OCCC guidelines wherein judges score each image from 4.5 to 10. The total image score will range from 13.5 to 30. Images will be awarded first to fifth place according to their score. There may be multiple winners at each level. I.e., ties will not be broken. For each image, one judge will make a comment. Comments will not be recorded. Judges will be requested to keep their comments brief – less than a minute. If there is a difference of more than two points, the judges concerned will be asked to explain their decisions. The maker earns point towards the coveted Photographer Of The Year (POTY) prize according to the image placement. One point will be awarded for each image submitted.